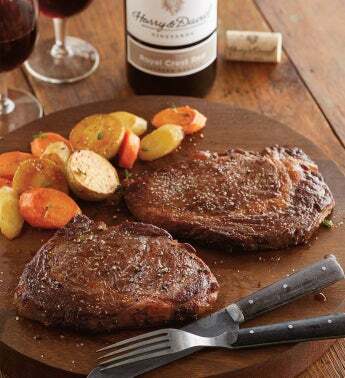 This marvelously rich and succulent steak is among the juiciest available. Cut from the center of the Prime Rib, where the most abundant marbling and tenderest grain are found, it has a naturally robust flavor and is magnificently suited for the grill. 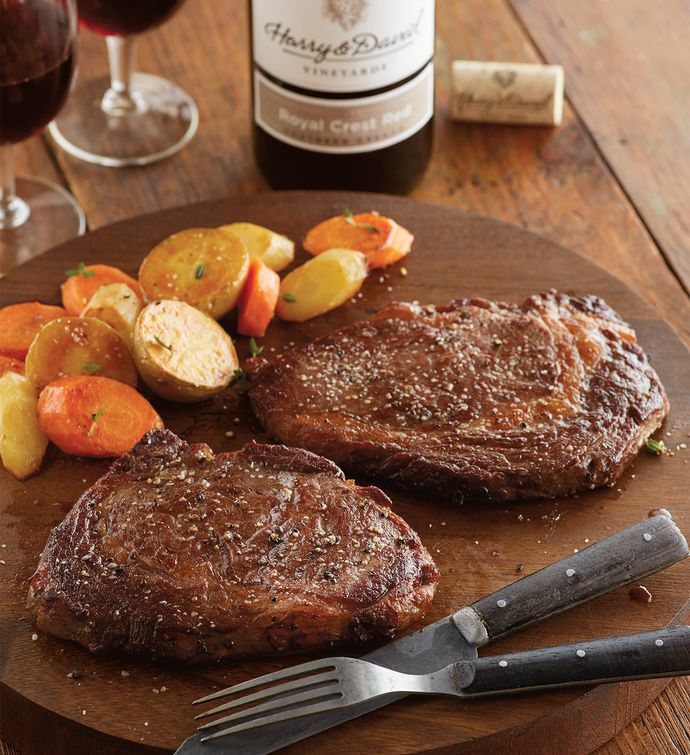 This USDA Prime selection arrives accompanied by a bottle of Harry & David™ Royal Crest Red blend.